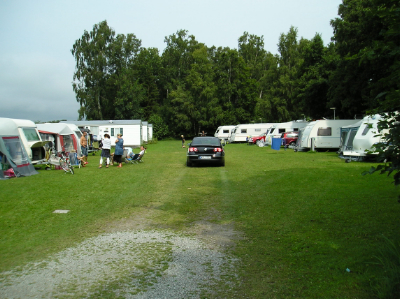 The campsite consists of nice large grassy areas separated by wooded parts. There is a restaurant with pizzeria, fast food stall and café adjacent to the reception. There is also a Minilivs shop and pool area with two pools, one of which is a small baby pool. The site has three service facilities. The centre facilities have a service room especially for children, with showers and small car baths adapted to the children's needs and wishes. Children under 10 can shower free here. There is also a laundry room, guest kitchen, TV lounge and playroom. All the service buildings offer washing up facilities, toilets and showers. 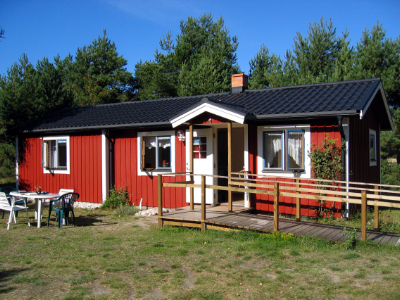 We also have seven family rooms with shower and toilet, two of which is adapted for disabled use. 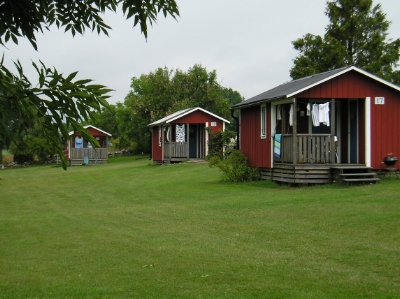 There are good walks and cycle tours with direct connection to the campsite. Wooded forest settings, beautiful beach meadows and a bird preservation area nearby. A little further, but still close, are Trollskogen, Thujabeståndet, Skäftekärr with the Iron Age village and Byrums limestone pillars to name a few popular places to visit. Make sure you visit us in the spring when the orchids bloom and the birds sing their spring songs, and in the autumn when the seawater is still warm and the berries are ripe. We wish you a warm welcome to a lovely and relaxing holiday! 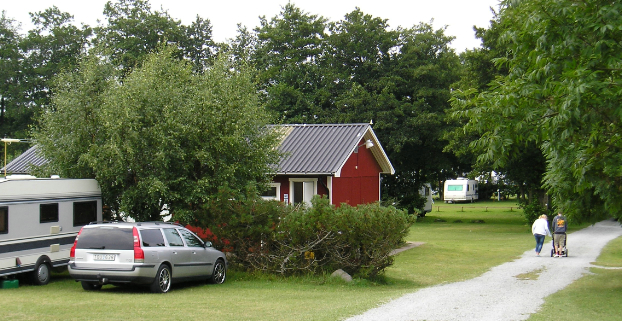 Sonjas Camping is a five-star family campsite with a camping area consisting of large, excellent grassy expanses with lush borders. There are lots here with and without electricity in different price categories. 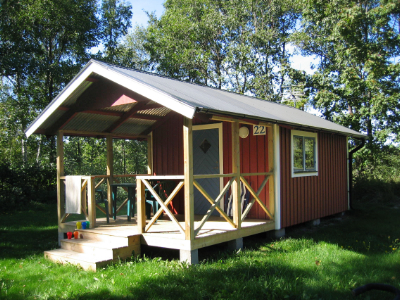 We have cottages at different price levels for 2-12 people. There is everything from a large, fully equipped villa to smaller, somewhat more basic cottages. 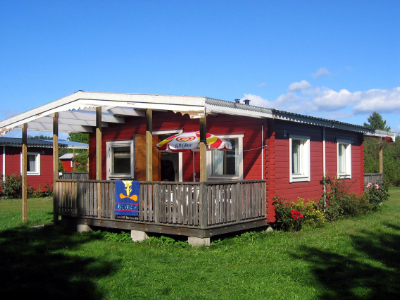 All cottages are smoke-free, and some are pet-free in addition. 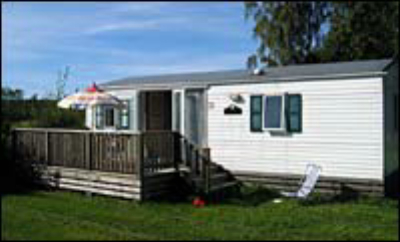 Our luxury caravans are 32 m2 in size and have 3 bedrooms, a bathroom and a living room with mini kitchen. Terrace with outdoor furniture and BBQ are also included. 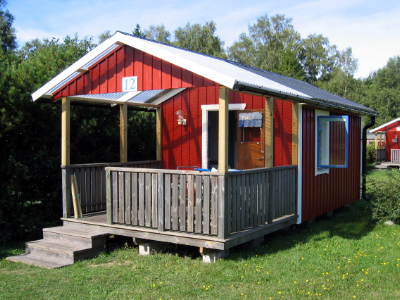 The luxury caravans are about 400 m from the sea.